“Genius is 1% inspiration, and 99% perspiration.” What was true of Thomas Edison is true of SEOs. We have to sweat and work hard to find excellent linking opportunities. Fortunately, here’s a big list of how you can use our tools and free ones to make you look like a genius with less effort. "Genius is 1% inspiration, and 99% perspiration." What was true of the American inventor Thomas Edison is true of SEOs. We have to sweat and work hard to find excellent linking opportunities. Fortunately, here's a big list of how you can use our tools and free ones to make you look like a genius with less effort. 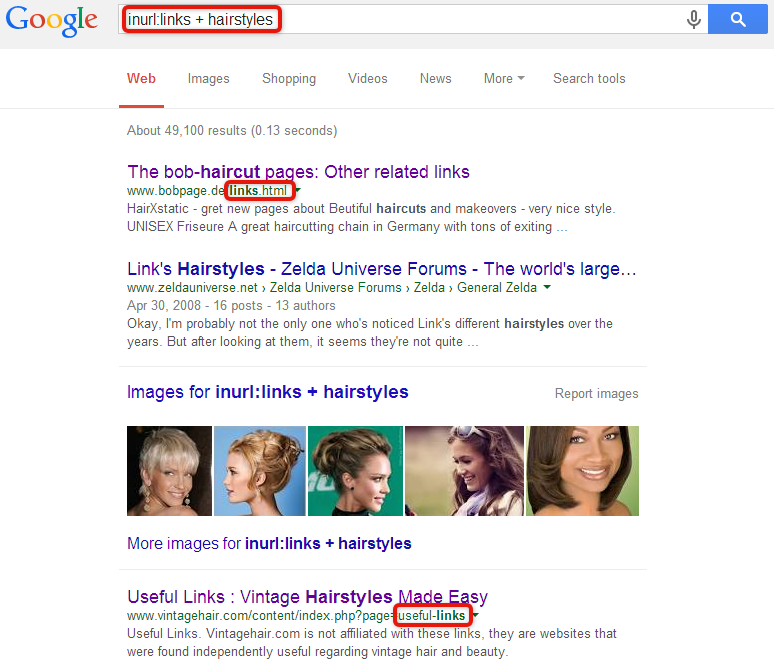 If you're new to SEO, read this before you build a single link. If you're an SEO veteran that lived through the Pandas and Penguins, this is a useful refresher on the powerful tools in your toolbox. 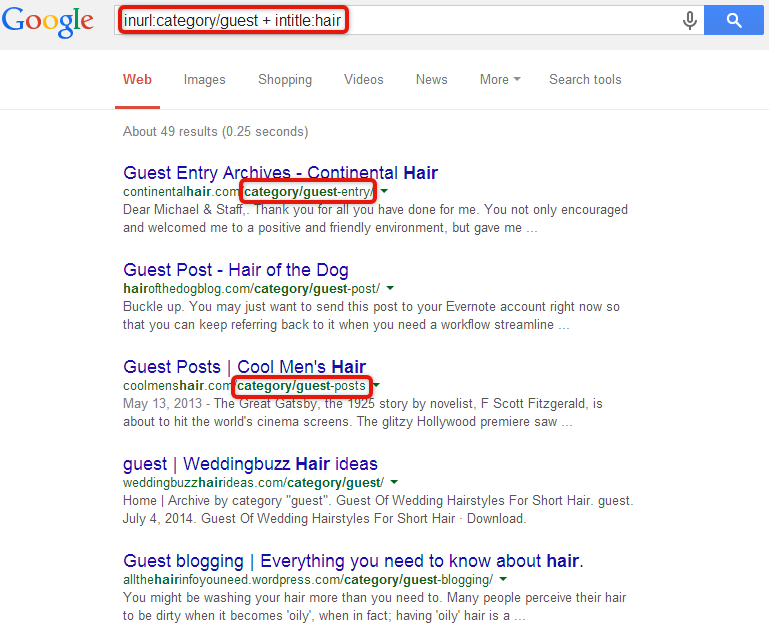 By searching for direct and peripheral keywords, you're covering all sides of a topic. Who knows what hidden opportunities you will discover? During an interview at the July SMX Advanced Conference in Seattle, Matt Cutts said that “Link building is sweat plus creativity.” Unlike many issues Matt has ever talked about, that one is actually hard to disagree with. That accurately describes all of the stages of the link building process, starting from the very initial one—which is link prospecting. Searching for high quality, relevant link opportunities is probably the most time-consuming and laborious of all the steps. It is also very important to have a good start with it. Performing successful and creative link prospecting can facilitate later phases of link building, and it can even ensure the success of your whole campaign. You should begin with a simple Google search. 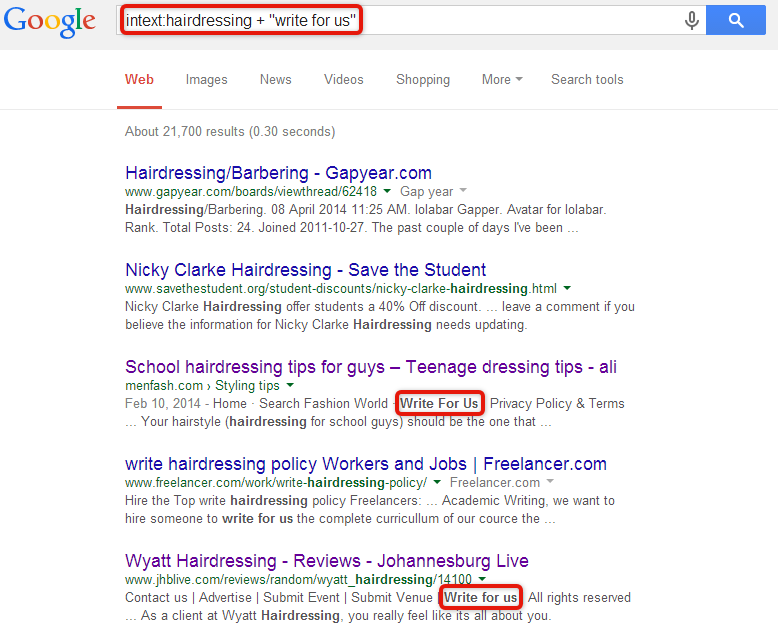 To have a full prospecting search query, obviously a keyword is also necessary. Remember: A keyword you use for prospecting doesn’t have to be the Money keyword you want to rank for. You need to think more widely and really get a feel for the industry you are prospecting. Identify who may be interested in your product or content, as well as the categories of blogs related to it (even indirectly, in some perhaps more vague ways). The key thing is to come up with a justification and a fair reason, so that the link being there will make sense. At this stage, it’s time to show off your creativity and impress even Mr. Cutts by inventing and combining all of the various effective search queries. Your main goal is to collect the largest possible list of matched link prospects. 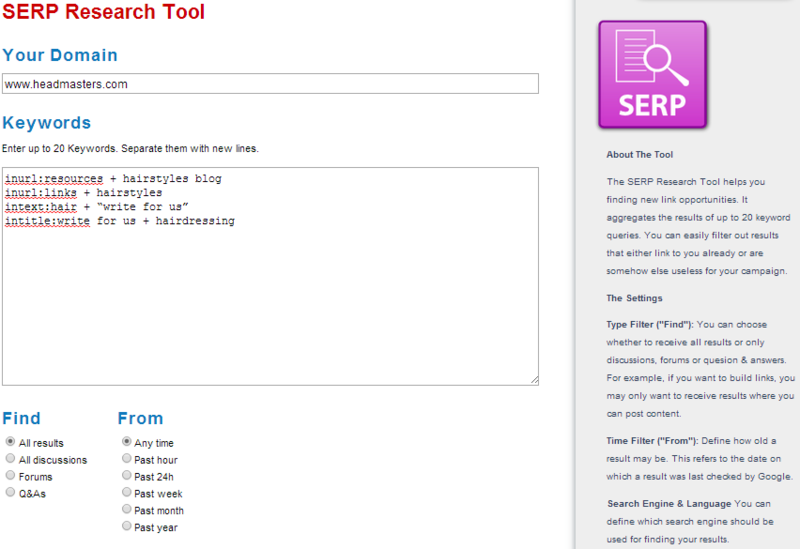 To scale your link prospecting and give yourself some more possibilities, use the SERP Research Tool. 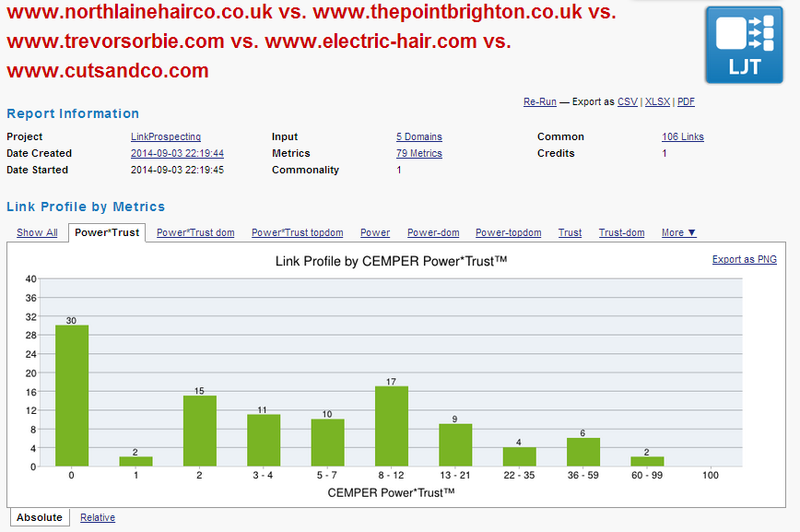 You can simply use the same combinations of advanced search formulas here. Personally, I always recommend trying search query ideas on manual research before entering them into the tool. 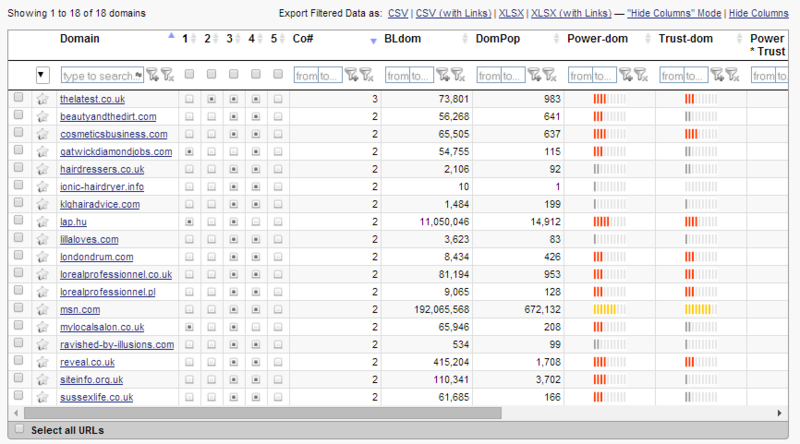 It’s interesting to examine the results’ accuracy and to make sure I should continue research using that query. 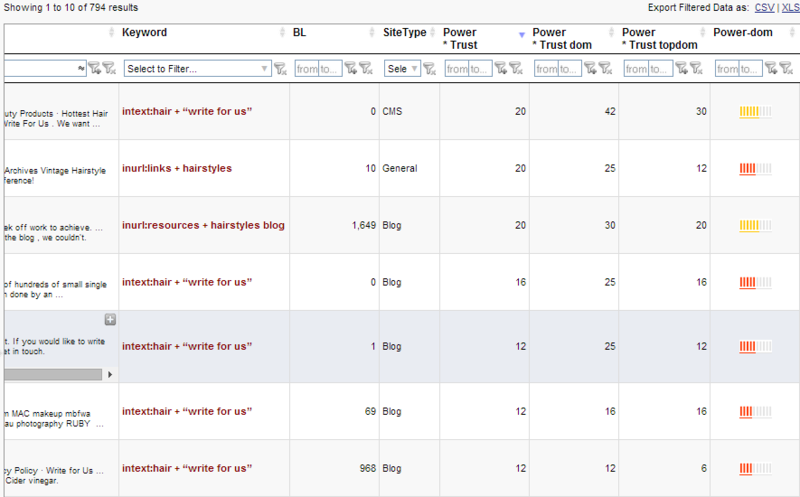 You can set up the tool to show only fresh results by selecting the past week in the “From” section (for example). What is really great about the tool is that it gives you huge possibilities of immediately filtering and sorting the results by many important metrics, including Power*Trust, the number of backlinks to the page or domain, Domain Authority, social votes, and many more. If you would like to check the backlinks of a specific page in detail, then click a particular digit and a new Quick Backlinks Report will automatically start in a new tab. 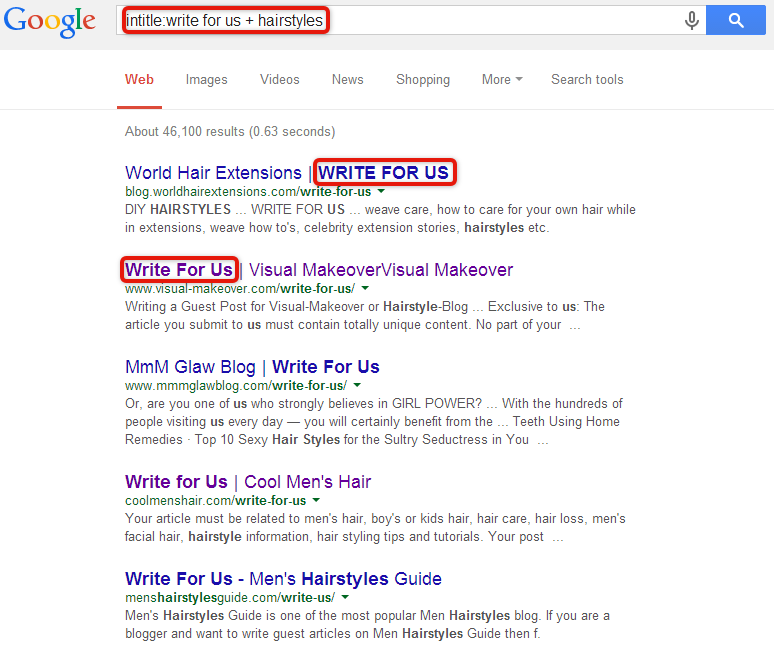 When you perform your research manually, you only see results from a single search phrase. Here, you have full control and a view of the keyword next to each result. 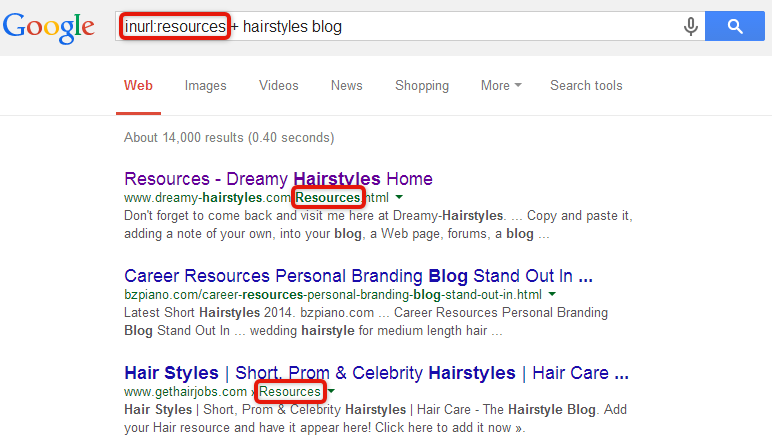 You even find out if your site is already linked from a particular resource. Following your competitors and using their resources to find potential link prospects is one of the first tactics you should execute. It’s useful not only to get link opportunities, but also to be well-oriented about what is going on in your industry. This will also help you define your strengths, weaknesses and potential room for improvement for your business in other fields. 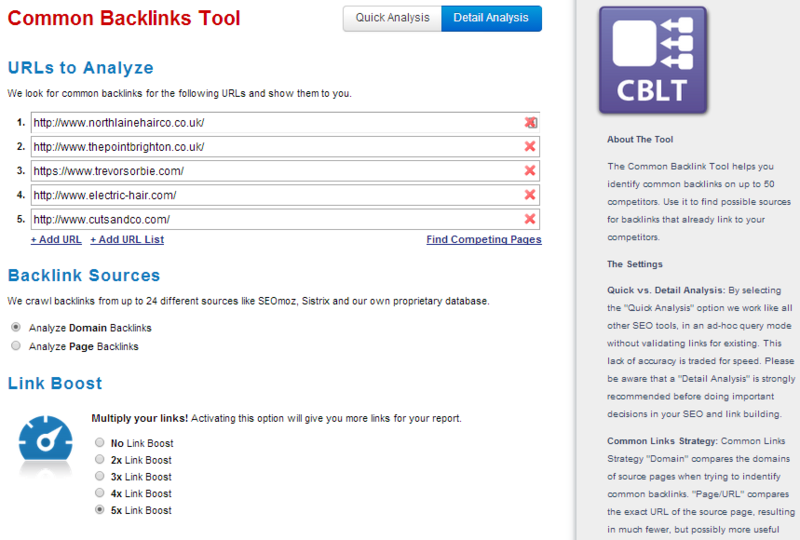 The Common Backlinks Tool identifies common backlinks of your competitors, which are great link opportunities for you as well. 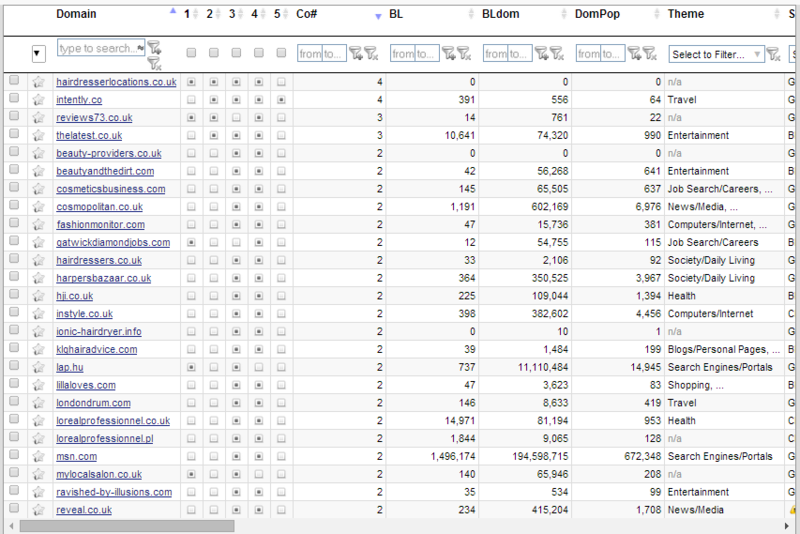 Simply type in a list of your competitors and run the report. The tool actually does a tremendous amount of work for you. Imagine how long would it take you to check all those link profiles separately and then manually search for the most common ones. By reviewing them in order, from highest commonality rate downwards, you can pick and choose only quality resources for your prospects. 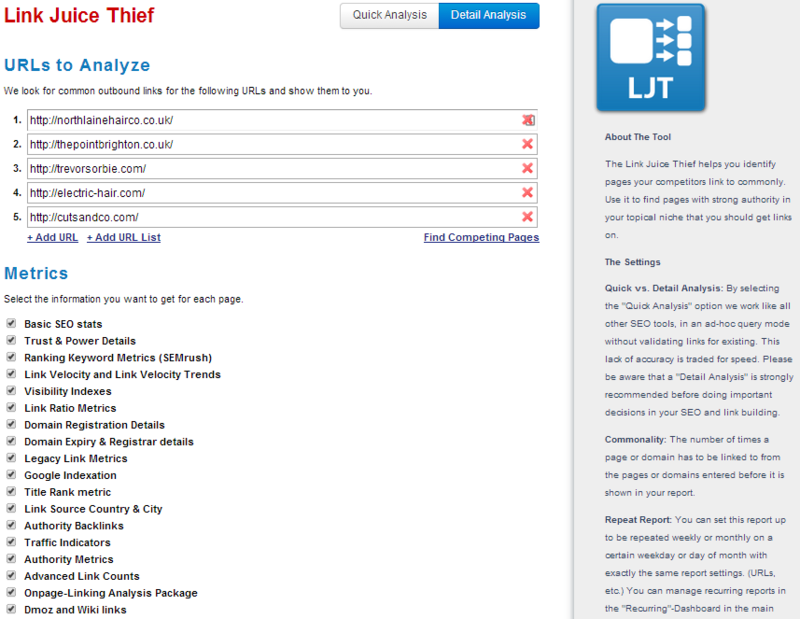 I must say that LJT is a really clever tool. 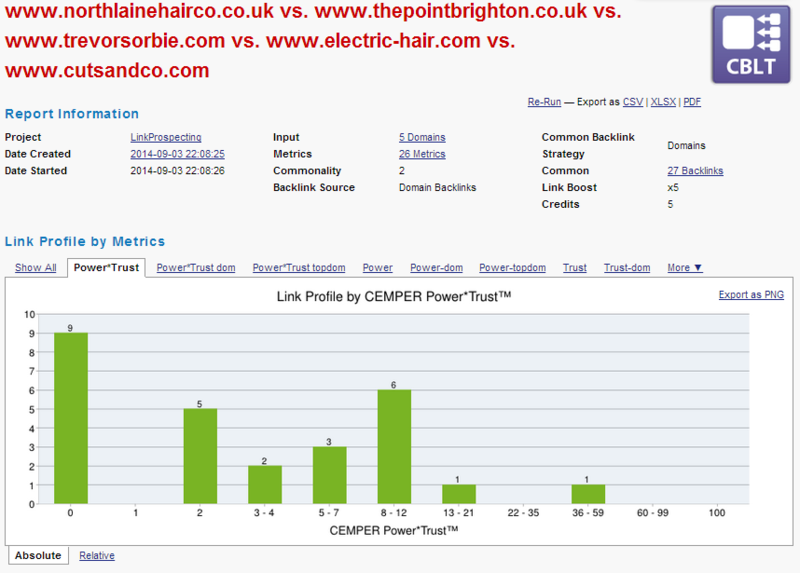 It checks the commonality of the outbound links of your competitors. 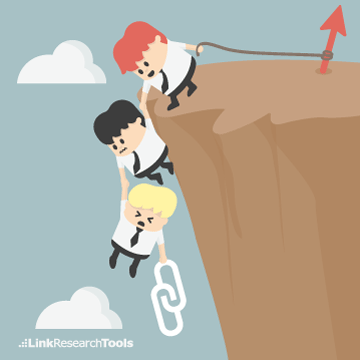 Why should you go after them as your potential link prospects? The idea is that when you get a link from a website that your competitors commonly link to, you will be indirectly linked to by them as a 2nd tier. Sound good? 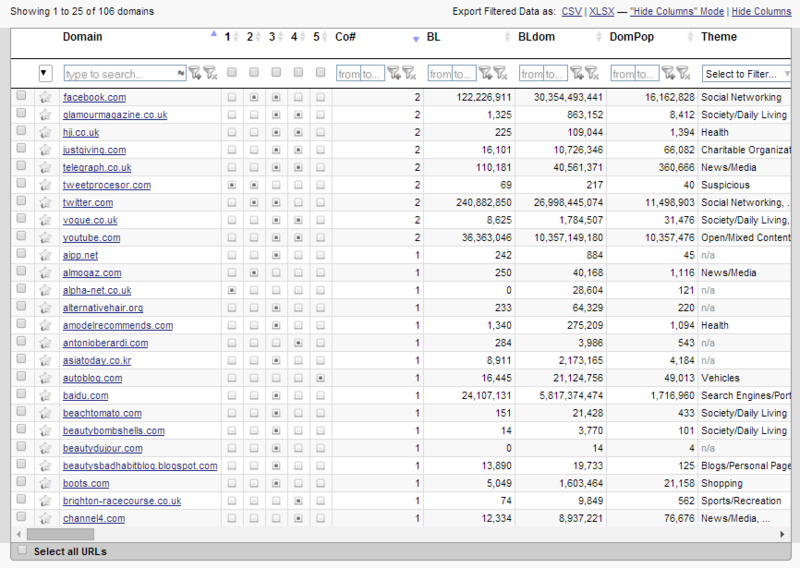 Of course, there will be some almost unattainable resources like Telegraph.co.uk. 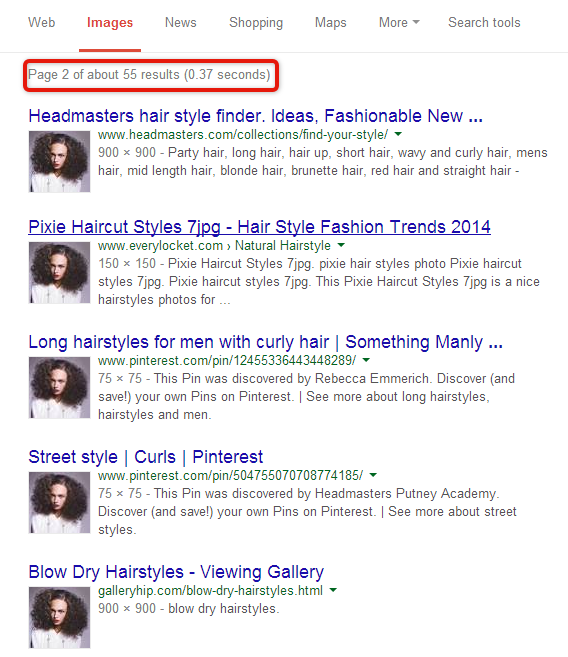 Instead of targeting very popular sites, look for smaller players where the possibility of getting a link is real. Watching for Brand Mentions is a must for every SEO. The mere fact that a mention about your website or product already exists is half of the battle to bring a new link into existence. 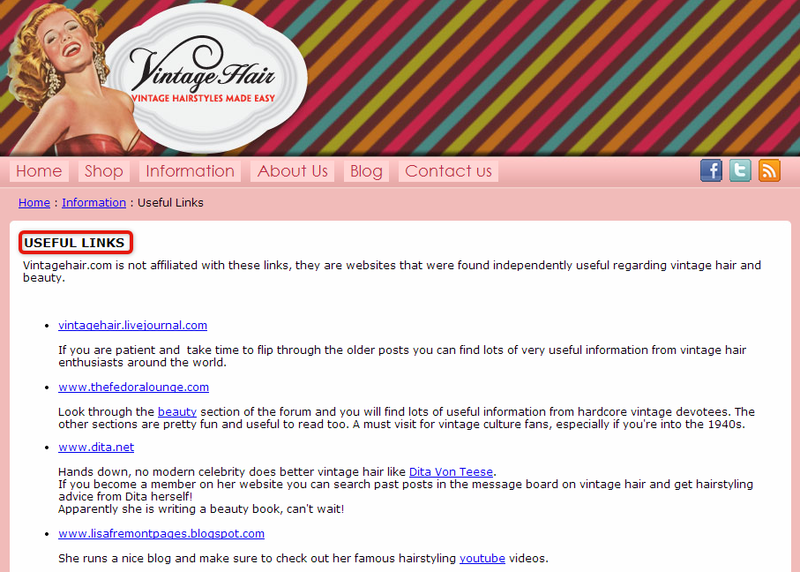 All you need to do is kindly reach out to the webmaster of that particular site and ask him to change it into a link. 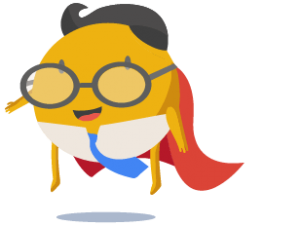 To be regularly up-to-date with new mentions, you can subscribe to sites like Mention.com. 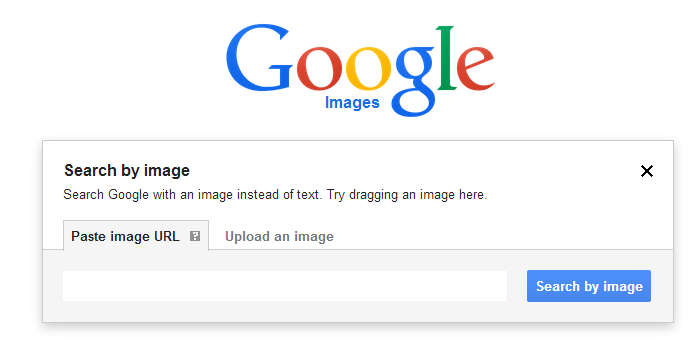 In my opinion, Google’s reverse image search is one of the coolest ways to find link prospects, and at the same time it’s one of the most underestimated. 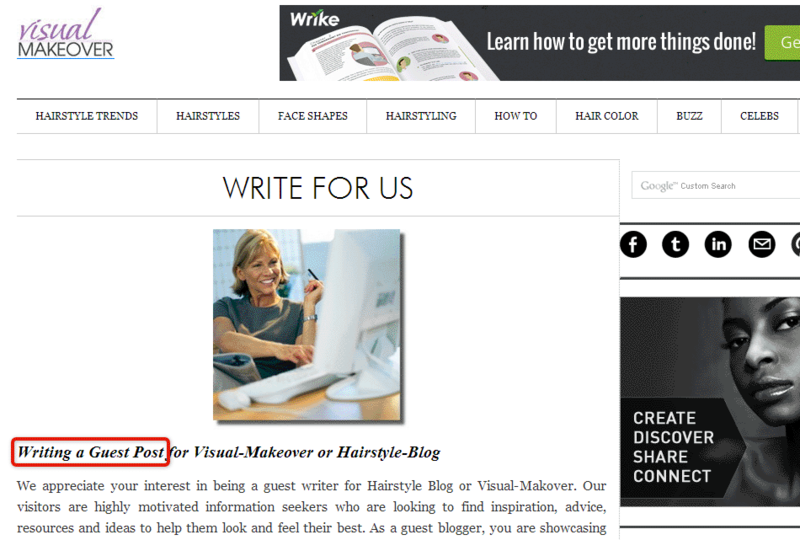 The idea is simply to find your images that have been published by other webmasters without any credit. Links coming from image credits are mostly valuable, they are usually Brand, placed within content, and they’re mostly follow (huge plus!). Performing outreach to the webmasters who grabbed your picture and asking for a link to the original source as a credit isn’t a favor. You simply deserve it. 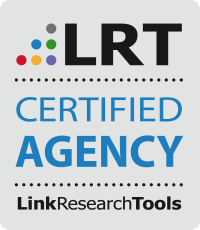 There are many ways to find great link prospects with LRT and other tools. But sometimes it can be hard to assess if the targeted website you’ve found should really become your link prospect, and later a backlink source. My latest blog post about verifying the quality of resources during link prospecting may be helpful to you. Being very creative and carrying out various ideas to look for link opportunities will help you maintain a diversified and natural-looking link portfolio. 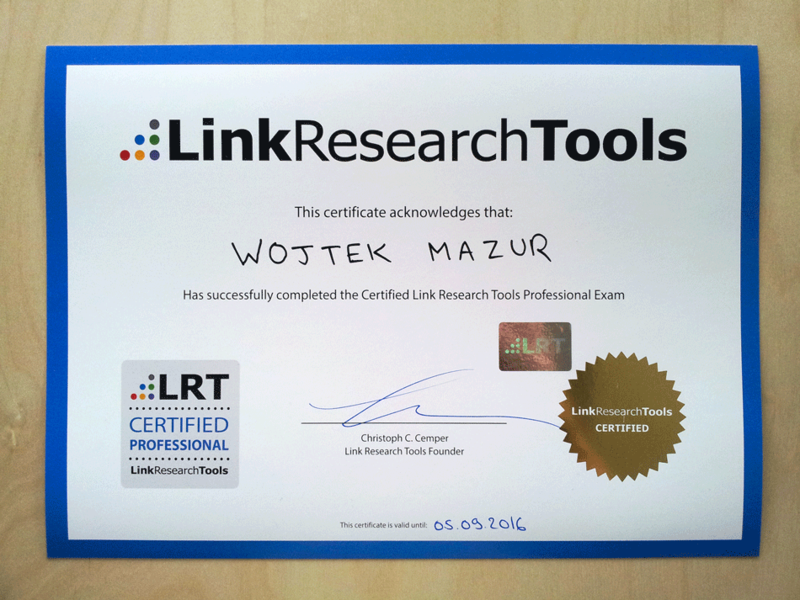 This case study was written by Wojtek Mazur, CEO at Elephate, and proud user of Link Research Tools and Link Detox. Are you as excited as I am? 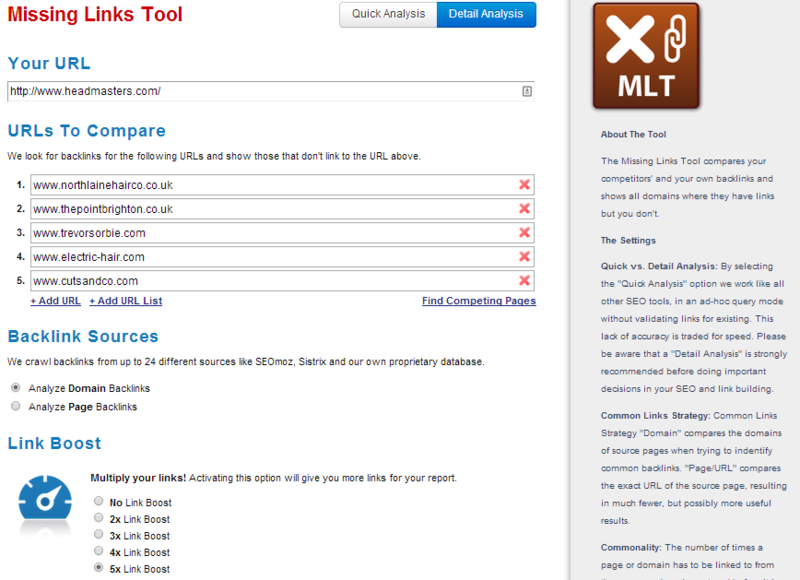 Tools and guides like this are like Christmas morning for an SEO. I want to try them all at once and see what works. If you use these tools in conjunction with our other how-to guides, you will be an unstoppable link builder. Try out the tools and let me know in the comments which ones are your favorites and what they helped you do. Now let's get link-building! Elephate is a LRT Certified Agency. This certification allows Elephate to receive consulting leads from us. Our goal is to provide our user community and clients with quality service and knowledge. 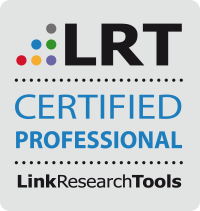 Our LRT Certified Professionals, Xperts, and Agencies are key to achieving this goal. Looking forward to Wojtek’s and the Elephate team's future works. I personally recommend working with them whenever you get the opportunity. Wojtek is a Search Marketing Specialist, focused particularly on Link Building, Content Marketing and Competitive Audits. He creates and implements campaigns for clients from various industries, endlessly discovering new and untapped prospects and strategies for Link Building. Wojtek is also experienced in Affiliate Marketing. Feel free to contact him with any issues.